Following through on “Sound Check/Getting Started,” I’m that guy who’s been writing for fifty-two years and began to play jazz piano when he was sixteen, but I was also trained as a visual artist (Pratt Institute and U.C.-Berkeley), and I exhibited woodcut prints and paintings at the San Francisco Museum of Art, the Pennsylvania Academy of the Fine Arts, and the Smithsonian Institution: mostly woodcut prints that incorporated the text of Russian, Modern Greek, and Japanese poetry–which I also translated. For now, and because–in keeping with what I said in “Sound Check; Getting Started”–I intend to make use of nearly every approach I can (text, photos, audio, video), I’ll show you what I look like, a modest backyard photo taken by my friend and former student Milo Martin–and recent enough not to be a touched-up affair acquired years ago in a previous incarnation. 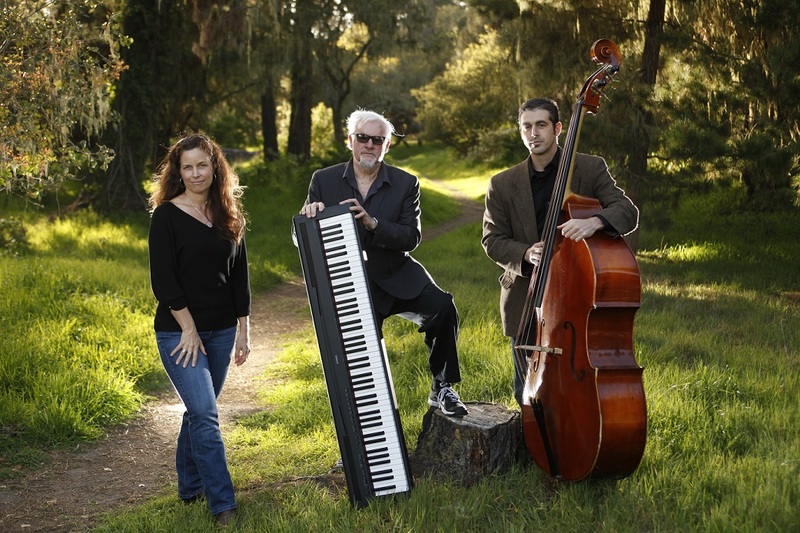 And I’ll also toss in a photo (by David Royal) of the group I now make music with: vocalist Jaqui Hope, bassist Heath Proskin, and myself—taken in Washington Park, just half a block up the street from where I live in Pacific Grove, California. Perhaps an even better way to let you into my life is to post an interview (YouTube “Bill Minor-The Inherited Heart Interview”) that host Mark Baer conducted when The Inherited Heart: An American Memoir came out, one that was presented on his ampmedia “Your Town” TV show–a talk in which we discussed everything from growing up in a “totally musical family,” a book I wrote on the Monterey Jazz Festival (Monterey Jazz Festival: Forty Legendary Years), Clint Eastwood, a commissioned CD called Love Letters of Lynchburg (a spinoff from The Inherited Heart), and poets I admire. Before I get to particulars about learning new ways to make meaningful work better known today, I would like to say a bit more about my own interest in and “conversion” to those means–because I feel this is an experience I share with many people, young and old, as I said before. I’ll confess that, because of temperament and not just age, I–up until now–had resisted or avoided many online networking sources available, regarding some of the procedures they entailed as indignities. For some time, I’d been made painfully aware that I was not just months or even a year (or two) behind on e-mail replies to family and friends, so I decided I didn’t need any more “interaction” with folks than I’d been able to manage (or mismanage), did not need to get any more “relational” than I already was. Consequently, I would turn down even a close friend’s request to be their “friend” on Facebook or Linkedin, pleading lack of free time. In Bill’s Blog, I hope to tell the tale of this conversion–this secular “redemption”–by way of examples from my own experience–focused on the Inherited Heart: An American Memoir, but also other books I’ve published and music I’ve made (the discovery of the joys of YouTube for one!). The journey from skepticism and concern that I might get gorged by an information glut (an infusion of “infotoxins”) to solid belief in the benefits of a revolutionary “State of the Art” approach (with its nutritional value: a healthy new means of getting “word out”) has truly been a “trip” –and discovering what’s available today has turned out to be an adventure, in and of itself! 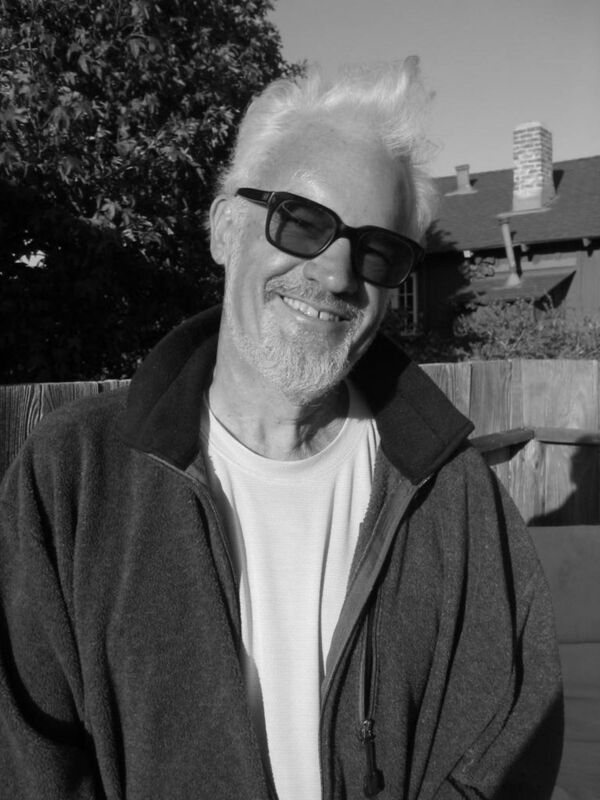 I’d like to close out this portion of “About” with a coda referring to the panoramic photograph that tops Bill’s Blog. When my wife Betty and I started what’s now been a fifty-six year marriage, we were twenty-one and lived for a summer in The Garden of Eden, in what I call a “shack” and she calls a “cabin” on an open spot on the Wailua River in Kauai. We were surrounded by mangos, papaya, bananas, with crayfish in the river, subsistent no electricity living, but “city kids,” we didn’t really have a clue as to what to do with it all. While my beautiful young wife scythed down grass in front of our shack/cabin, I sat under a lanai and wrote stories about having been beat up in the subways of Brooklyn! The photo shows the bend in the river (on the left) where we lived, half a mile up from the Pacific Ocean, which we reached by canoe. And yes, the photo does do full justice to the sunrise, the landscape, and the river–that timeless adventure!